9 a.m. to 5 p.m. — Two-day watercolor class begins with Mark Polomchak at the Florida Maritime Museum, 4415 119th St. W., Cortez. Information: 941-778-6694. 3 p.m. — Book club meets at Tingley Memorial Library, 111 Second St. N., Bradenton Beach. Information: 941-779-208. 9:30 a.m. — Human Rights Day Celebration at Longboat Island Chapel, 6200 Gulf of Mexico Drive, Longboat Key. 10 a.m. — Portrait Drawing Basic workshop with Doug Land at the Anna Maria Island Art League, 5312 Holmes Blvd., Holmes Beach. Information: 941-778-7099. 4 to 6 p.m. — Book sale at the Island Branch Library, 5701 Marina Drive, Holmes Beach. Information: 941-778-6341. 9 a.m. to 1 p.m. — Book sale at the Anna Maria Island Branch Library, 5701 Marina Drive, Holmes Beach. Information: 941-778-6341. 9 a.m. to 1 p.m. — White Elephant Sale at the Episcopal Church of the Annunciation, 4408 Gulf Drive, Holmes Beach. Information: 941-792-7183. 9 a.m. to 2 p.m. — Open-air market at 107 Bridge St., Bradenton Beach. Information: 941-518-4431. 10 a.m. to 2 p.m. — Book signing with Holmes Beach author Jean Peelen at the Back Alley, 121 Bridge St., Bradenton Beach. Information: 941-778-1800. 4 p.m. — David Cubillos Jazz Ensemble at Gloria Dei Lutheran Church, 6608 Marina Drive, Holmes Beach. Information: 941-778-1813. 9:30 a.m. — Rally for the Cure golf tournament and lunch at the Key Royale Club, 700 Key Royale Drive, Key Royale. Information: 941-778-5998. Fee applies. Noon — Anna Maria Island Rotary Club lunch with guest speaker Ed Straight, Wildlife, Inc., at the BeachHouse Restaurant, 200 Gulf Drive, Bradenton Beach. Fee applies. 6 p.m. — Potluck supper at Annie Silver Community Center, 103 23rd St., Bradenton Beach. Information: 941-778-1915. 9:30 a.m. — Exploring Textures in Watercolor two-day workshop with Joye Moon at the Anna Maria Island Art League, 5312 Holmes Blvd., Holmes Beach. Information: 941-778-7099. 10 a.m. to 2:30 p.m. — Wisconsin Day potluck at St. Bernard Catholic Church, 248 Harbor Drive, Holmes Beach. Information: 941-708-0149. Fee applies. 11:30 a.m. — Off Stage Ladies of the Island Players Theater valentine lunch with guest musician Marianne Barnebey at the Sun House Restaurant, 111 Gulf Drive S., Bradenton Beach. Information: 941-518-4431. 5 to 8 p.m. — Antique Appraisal Affair hosted by the Anna Maria Garden Club at the Episcopal Church of the Annunciation, 4408 Gulf Drive, Holmes Beach. Fee applies. Three item limit. • Tuesdays, 12:30 p.m., Anna Maria Duplicate Bridge Club at the Episcopal Church of the Annunciation, 4408 Gulf Drive, Holmes Beach. Information: 941-778-3390. • Saturdays, 8:30 a.m., Anna Maria Island Kiwanis Club meets at Cafe on the Beach at the Manatee Public Beach, 4000 Gulf Drive, Holmes Beach. • Through Feb. 5, “Old Florida” themed exhibit at the Florida Maritime Museum of Cortez, 4415 119th St. W., Cortez. Information: 941-794-3310. • Through Feb. 7, “Self Help” at the Island Players, 10001 Gulf Drive, Anna Maria. Information: 941-778-5755. Fee applies. • Through Feb. 28, American Watercolor Society 142nd Annual Traveling Exhibition at ArtCenter Manatee, 209 Ninth St. W., Bradenton. Information: 941-746-2862. Fee applies. 7 p.m. — Extraordinarily Human Film Series: “Persepolis” at the South Florida Museum, 201 10th St. W., Bradenton. Information: 941-746-9161. Fee applies. 8 p.m. — Valentine Pops Concert at Neel Performing Arts Center, 5840 26th St. W., Bradenton. Information: 941-792-0309. Fee applies. 8:30 a.m. — America’s Boating Course at the Anna Maria Island Power Squadron, 1200 71st St. N.W., Bradenton. Information: 941-795-0482. 2 to 4 p.m. — Paddle trip through Robinson Preserve departs from the Canoe/Kayak launch, 1704 99th St. N.W., Bradenton. Information: 941-742-5757 ext. 7. 4 p.m. — Night at the Museum featuring African drum and dance at the South Florida Museum, 201 10th St. W., Bradenton. Information: 941-746-9161. Fee applies. 6 to 9 p.m. — Snowflake Ball at Lakewood Ranch Country Club, 7650 Legacy Blvd., Lakewood Ranch. Information: 941-751-4566. Fee applies. Proceeds benefit PACE Center for Girls. 6:30 p.m. — Chart Smart seminar at the Anna Maria Island Power Squadron, 1200 71st St. N.W., Bradenton. Information: 941-795-0482. 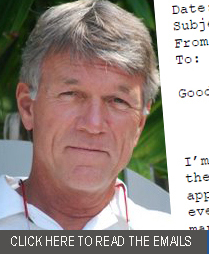 7 p.m. — Manatee Sailing Association meeting with guest speaker Anna Maria Island resident and American World Champion Windsurfer Bruce Matlack at Firkin & Fox Bar & Grill, 2505 Manatee Ave. E., Bradenton. Information: www.manateesailingassociation.org. 6 to 10 p.m. — Valentine Love Birds Food and Wine Tasting at Save Our Seabirds, 1708 Ken Thompson Pkwy., Sarasota. Information: 941-388-3010. Fee applies. 7 to 9 p.m. — “Stranger Than You Can Imagine: Relativity, Quantum & String Theories” discussion at the South Florida Museum, 201 10th St. W., Bradenton. Information: 941-746-9161. Fee applies. • Feb. 11, Extraordinarily Human Film Series: “Shadow of the Moon,” South Florida Museum. • Feb. 12, Maritime Heritage Art exhibit opens, Florida Maritime Museum. • Feb. 12-14, “Super Bowl of Shell Shows,” Sarasota Municipal Auditorium. • Feb. 13, Rummage sale, St. Bernard Catholic Church. • Feb. 13, Bridge Street Market. • Feb. 13, Valentine’s Day dinner/dance, Moose Lodge. • Feb. 13-14, Art and Craft Festival to benefit the Anna Maria Island Butterfly Garden. • Feb. 14, Islander Promise Day, Cafe on the Beach. • Feb. 17, Anna Maria Island Historical Society lunch, Beach Bistro. • Feb. 17, Spirit of Manatee Awards lunch, Bradenton Municipal Auditorium. • Feb. 18, “Curtains” opens at Manatee Players, Bradenton. • Feb. 19, Chinese New Year celebration, South Florida Museum. • Feb. 20, Cortez Commercial Fishing Festival Cook-Off. 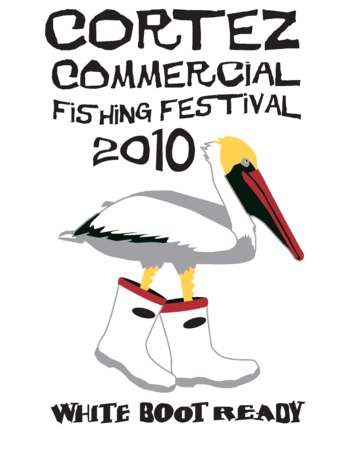 • Feb. 20-21, Cortez Commercial Fishing Festival. • Feb. 28, Anna Maria Island Wedding Festival. • Feb. 23, 8 a.m. PTO dinner and kindergarten performance.